Being a stay at home mom or dad is a wonderful lifestyle that can quite possibly require a few sacrifices, especially at first when you are making the adjustment financially. This can seem painful at first but in the end you won't regret one bit because the payoff is well beyond any sacrifice made. I became a SAHM as a result of circumstances beyond my control. It did require many sacrifices but looking back, I do not regret giving up any of it. The rewards have far exceeded anything I considered a sacrifice at that time. In fact, I found the lifestyle of being a SAHM quite rewarding because it allowed me to focus on my family and on my creative abilities in ways I might not have had time for if I would have been working a job outside the home. Those very same creative abilities became a way for me to actually provide for our family while my husband went through medical school to become a Physician's Assistant. I hope you will forgive the long post when you see some very real areas where you can cut in order to achieve your dream of staying at home with your children. 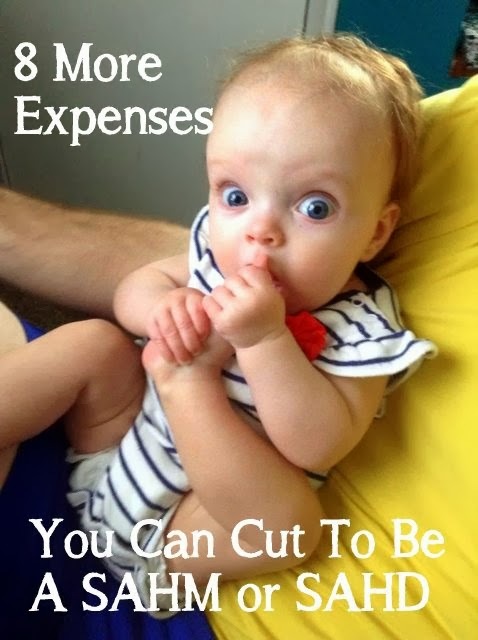 Last week I showed you 10 expenses that can be cut right off. Let's look at some other expenses that may possibly be cut temporarily or even permanently if you decide you don't miss them. Groceries: I know you are thinking, "OMG are you kidding me, that is already cut!" Just hear me out. You are going to be a SAHM. You can start a garden and help the food budget by raising your very own organic (or not if you like) fruits and veggies. If you don't have a yard this can even be done on the tiny porch of an apartment in containers. This is a great activity to do with your children that will give them skills and great memories. Remember every dollar matters! Insurance: This is a category that many people purchase without thinking through what insurance is actually for. Insurance should not be used as a payoff day. It should be a backup to help cover what you can not afford to lose. When I shop for insurance, I determine what I can actually afford to cover (if I have to) when a loss occurs. In our small Texas town most businesses will let you pay out a larger bill interest free, if you OK it upfront and if you keep your word and pay regular payments. This means that we can afford to raise those deductibles. This means a savings on the monthly cost of insurance. Vehicle Expense: If you are still needing some cuts somewhere and you are willing, you could cut this by selling 1 vehicle. It is possible to make it as a 1 vehicle family. This requires some scheduling and possibly inconvenience but this can be done. Some cut this category by purchasing a motorcycle (yes, dangerous...my husband and son were in a motorcycle accident) but motorcycles get great gas mileage. If you go this route, please wear proper gear (pavement grates leather like a cheese grater so imagine what it does to your skin) and pop for the safety course. It will teach you how to survive WHEN you lay that baby over. Helmets saved my men's lives. Maybe it didn't feel cool to wear them but it would be a lot less cool if they were dead or had brain injuries. Housing Expense: This is something that could possibly require a look. Maybe you could consider a smaller home for a bit until after you adjust and things are a bit better. We chose to stay in a smaller home (900 sq ft) for a few years extra and later purchased a home that was larger. The girls shared a bedroom when they were little and in the new home everyone had their own room. Happy memories in that little house...I will tell some of the funny ones some day. Library: Reading can be an expensive hobby especially if you don't consider every dollar spent in this area. Magazines are getting more expensive by the day. $9.99 is not an unusual price. You can cut these expenses drastically by getting magazine subscriptions instead of buying at the store (initial cost but huge savings!) Better yet, do your reading on blogs instead (the source of many magazine articles). Check books out from the library (free if you return on time!). Share books and magazines with other trustworthy people (you could set up a club for this). Purchase FREE books with your E readers. E reader books are generally less money than the hard bound or even paperback copy. Purchase books at garage sales, thrift stores, goodwill, and 2nd hand book stores. Paper Goods: OK, (big breath) You can eliminate the need for paper towels, toilet paper, those duster cloths and swiffers. Cloth diapers cut this cost too. Have you priced these things lately? Use old wash cloths on the swiffer or make your own with flannel, Use dust rags (old washcloths, ripped up old towels, Old Clothes) Make your own paper towels and your own Personal Wipes to replace toilet paper (made from flannel or old towels and washed like non disposable diapers...so much softer) These are as green and upcycling as it gets!) I haven't personally used the Flannel Personal Wipes but never doubt I will if times get hard enough for us. I paid $15.99 for a package of 24 rolls of Toilet paper. I am not saying these must be cut because each is a personal choice. I used disposable diapers, toilet paper, and paper towels but I found cheaper brands that were OK with our family. Cleaning Supplies: You can make your own at a much smaller price than buying them. They are safer for your family and the planet as well. 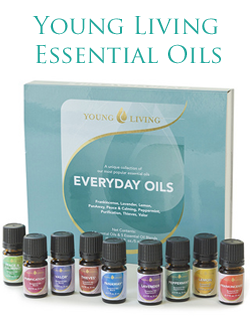 Check out my Make Your Own & Clean It Up Pinterest Boards. Do I have you thinking yet? Is your mind beginning to change yet? Don't worry, there are 8 more coming next week too. Stay tuned for next Thursday.